Hello and welcome to the Embryo Donation International blog! We will be discussing all things related to embryo donation – the process, guidelines, regulations and the tough decisions that go into the final decision. 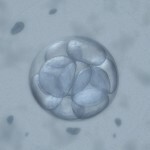 Who is Embryo Donation International (EDI)? Embryo Donation International (EDI) is a subdivision of Specialists In Reproductive Medicine & Surgery, P.A., which has been providing embryo donation for 10 years making us one of the most experienced embryo donation facilities in the country. Our mission is to reduce the number of cryopreserved embryos abandoned or discarded by assisting in the matching embryos to patients in need regardless of race, religion, ancestry, sexual preference or marital status. We turned this philosophy into Embryo Donation International. I started creating our embryo donation program in 2000 and had our first delivery in 2001. I have always enjoyed the field of reproductive ethics, which helped to form many of my philosophies regarding embryo donation. In speaking out against embryo abandonment and the discarding of embryos while speaking out in favor of human embryonic stem cell research, my reproductive endocrine practice began to form the core values we now hold so dearly here at EDI. At EDI, we believe that the embryos deserve a heightened level of respect; placing them between common cells and the patients we treat. We feel this is a type of gentle embryo advocacy. We believe that they should be used for a common good and have the opportunity to build a family. 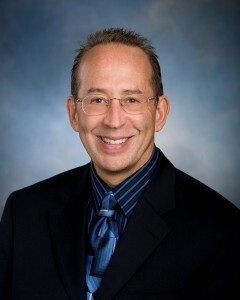 For more information, please view the About Us section of the blog or visit our website www.EmbryoDonation.com. What sets EDI Apart from other Embryo Donation Organizations? EDI is non-discriminatory. We welcome healthy recipients including single women, homosexual couples, cancer survivors and people of any race or ethnicity. While we believe all healthy embryos deserve a chance at life and that healthy individual deserves a chance at parenthood, we are not a faith-based facility. We are dedicated to making the process of embryo donation affordable. Our fees are roughly 50-60% less than many alternatives. We also accept embryos from around the world. Additionally, we have a growing database of embryos (which is available for reviewing at no cost) and we offer them through a variety of means – approved, anonymous and open embryo donation procedures– based on the donors’ wishes and the recipients’ willingness to participate. We look forward to offering tools for donating or receiving, or simply helping you learn more about the options available along your infertility journey, which we all hope will end with parenthood.